Maria Nava Gutierrez is a first generation college student at UCLA studying Philosophy, Gender Studies, and Chicano Studies. She is interested in the emotional and psychological development of immigrant children and youth and hopes to continue working on issues facing the undocumented student population in her later academic career. As part of the undocuscholars summer research team Maria worked researching undocumented student access and understanding of mental health resources. After finishing her education she would like to work either as a college professor or for a non profit which focuses on immigrant rights. 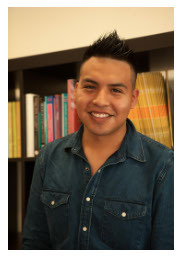 Oscar G. Rodriguez Texis is an undergrad student at UCLA. He transferred from Oxnard College with an A.A in Mathematics, Psychology and Physics. He will be graduating Spring 2015 with a double major in Gender Studies & Spanish. Through the Undocuscholars Project, Oscar conducted research regarding parental expectations and family ideologies of success. As the first one in his family to go college, he is passionate about increasing the higher education pipeline especially for low income, minority, and underrepresented communities. Prior to coming to UCLA, Oscar created a higher education access program for undocumented high school students in the Oxnard Union High School District. He plans to continue conducting research within a master’s program in Education. Erick N. Samayoa is an undergraduate student at UCLA. He will graduate in Spring of 2015 with a B.A in Sociology and a minor in Chicano & Chicana Studies. During the summer, Erick was part of the research team at UndocuScholars project, and his research topic was about, “Undocumented high school students and their transition to post-secondary educational institutions”. His personal experience and his deep passion for scholarship are two of the main motivational forces for him to pursue his studies in graduate school, and attain a doctoral degree in Sociology. In the future, he hopes to join the academy and enrich it by providing a unique perspective by his personal trajectory as both an immigrant and non-traditional student. 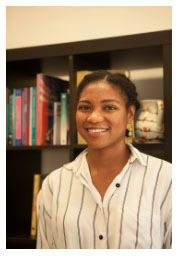 Zyshia Williams graduated from UCLA in June 2014 with a BA in International Development Studies and a minor in Accounting. This fall, she is moving to Chicago to get work experience at community-based organizations. As part of the UndocuScholars summer team, she conducted research on how the California DREAM Act and Deferred Action for Childhood Arrivals impacted the experiences of undocumented students at UCLA. After being granted a work permit through Deferred Action for Childhood Arrivals, Zyshia has been able to utilize her accounting and political economy skills in the formal economy. Zyshia plans to pursue a master’s degree in Urban Planning and Business Administration. In the long-run she hopes to return to her home in Belize to help improve the economic and social conditions.